Depending on the size of the painful point/area, apply size M, L or XL KUMBRINK CROSSTAPE® to the point or area of pain at the shoulder. 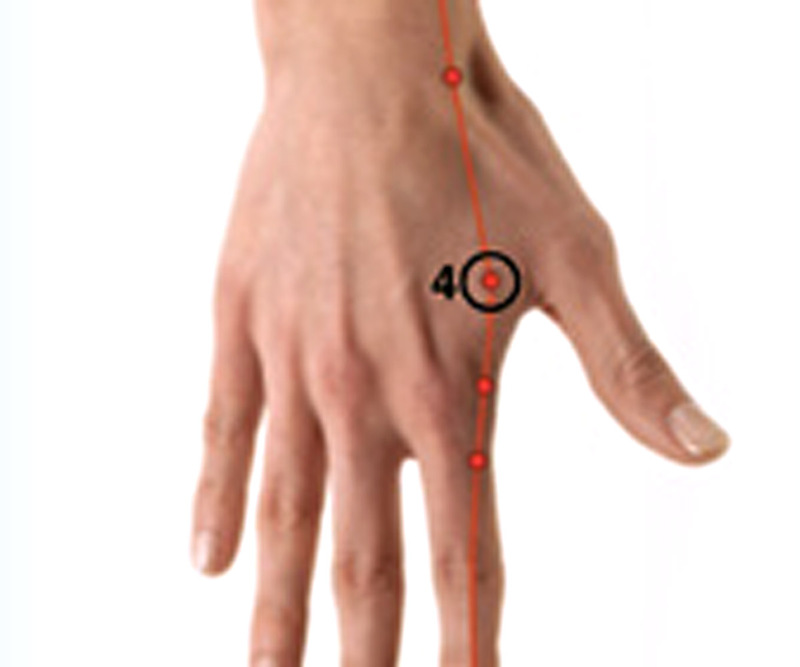 Additionally apply a size M or L KUMBRINK CROSSTAPE® so that the Lu-7 and Lu-8 acupuncture points are covered over. 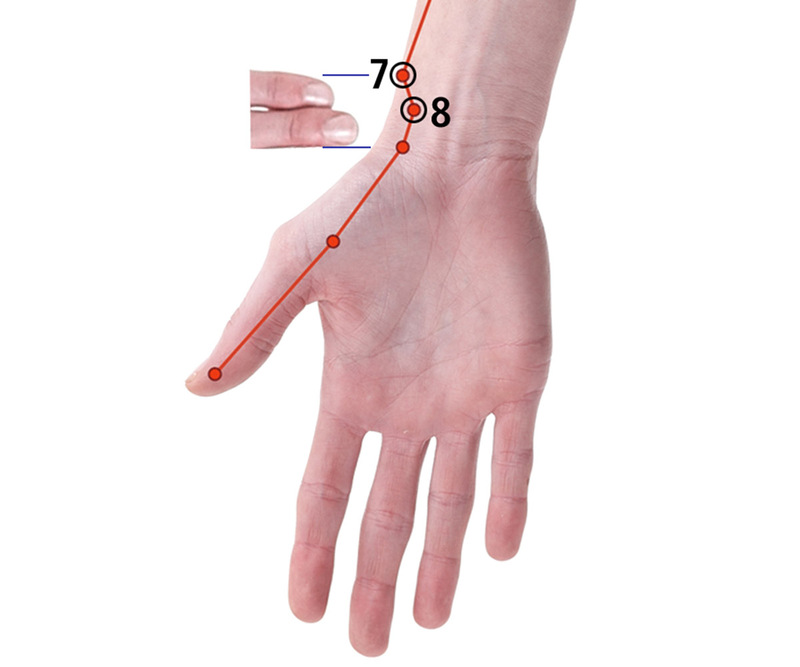 The exact location can be measured 2 fingers from the edge of the wrist. Tip: The pulse can be easily felt over Lu-7.